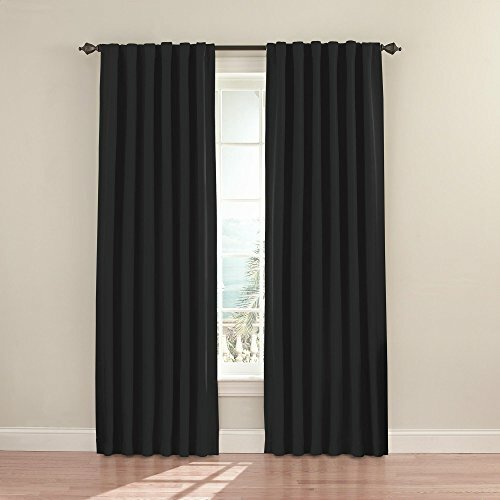 Experience the darkness, silence, and beauty of Eclipse curtains. Eclipse ultra-fashionable blackout panels have been laboratory-tested to block over 99-percent of outside light and reduce unwanted noise for a better night's sleep. The patented Thermaback technology and innovative design helps conserve heat in winter and keeps hot sunrays out in summer to help reduce home heating and cooling costs. 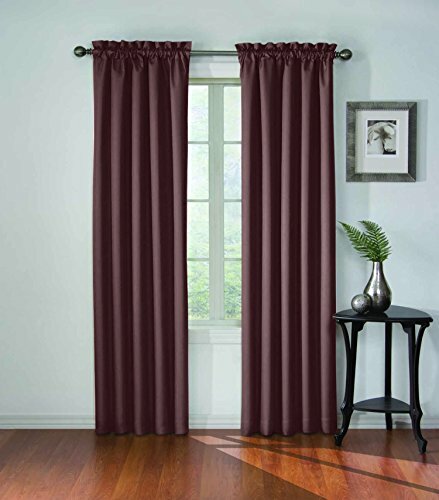 Whether you are looking to enhance your existing decor or going for a complete room makeover, Eclipse curtains give you the versatility and style you need to decorate any room in your home. Hang them in your living room for better TV viewing or in the nursery or kid's room to keep out unwanted noise and light. Use two window panels on a standard or decorative rod for optimal coverage. Eclipse microfiber panels can be hung as rod pocket or tab top for desired look. Rods sold separately. 100-Percent Polyester. Machine wash, tumble dry, do not bleach. Imported. Experience the darkness, silence and beauty of eclipse curtains. Whether you are looking to enhance your existing decor or create a whole new look, eclipse curtains give you the versatility and style you need to decorate any room in your home. The innovative foam-back technology provides all of the light-blocking, noise reducing and energy saving benefits, while providing the same fashionable style and elegance of naturally flowing curtains. From traditional to contemporary decor, ultra-soft microfiber thermal curtain panels enhance any living space. The super-soft hand and luxurious drapability of microfiber combined with the eclipse Thermaback technology ensures the ultimate in fashion and function. 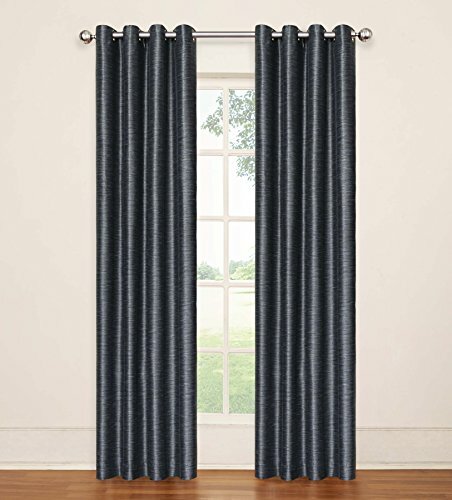 Hang two or more rod pocket window panels on a standard or decorative rod for optimal coverage. Foam backing is an off white for street-view requirements. Sold as a single panel measuring 42" wide in your choice of 63"or 84" lengths. Decorative rod sold separately. 100% easy clean polyester. Fashion colors include Black, Fuchsia, Mimosa, Purple and Teal. Machine wash, tumble dry, do not bleach. Imported. NOTE: The packaging can cause the panel to have a smell upon opening but after being hung for a certain period of time or a wash the smell will be removed. 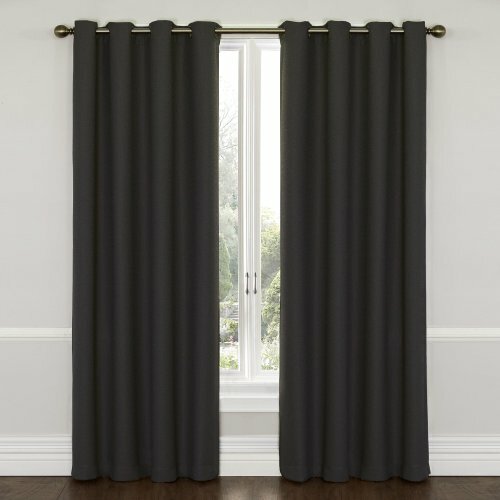 Add style and function to your decor with Eclipse scene Kendall Wave curtain valance. 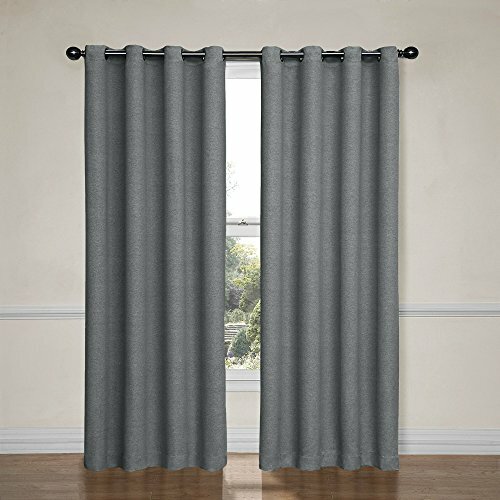 Eclipse curtains and accessories offer a unique blend of fashion and function for any home decor. 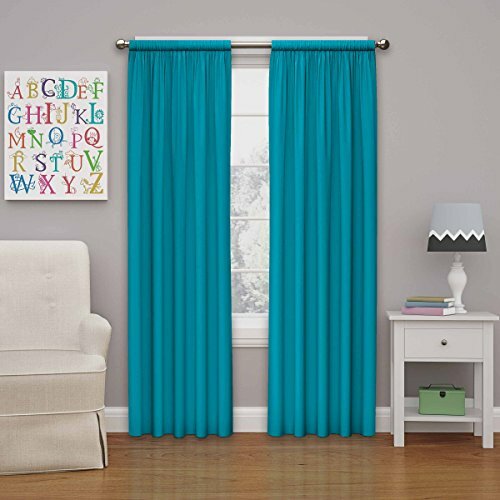 The innovative, white foam-backing is applied to the fabric and allows you to enjoy all of the light-blocking, noise reducing and energy saving benefits, while providing the same fashionable style and elegance of naturally flowing curtains. 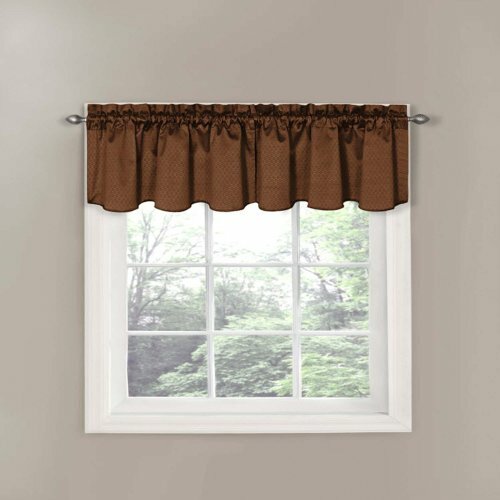 Hang two or more valances on a standard or decorative rod for optimal coverage and desired effect. 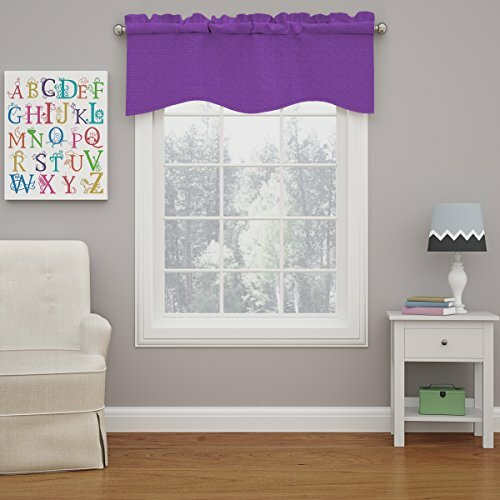 Sold as a single rod pocket valance measuring 42 inches wide by 18 inches long. 3 inch rod pocket; 1 to 1.5 inch rod recommended for maximum styling. 2 inch header adds decorative style. Subtle texture adds style and dimension. 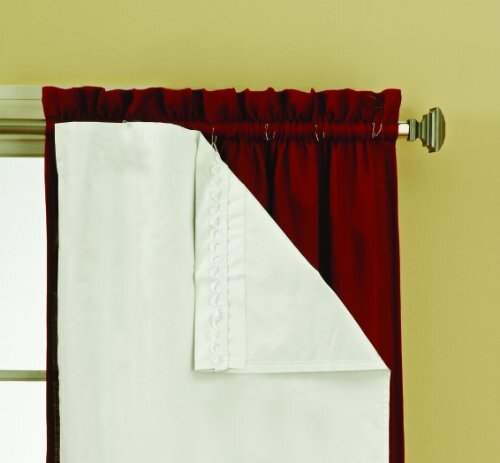 Coordinating curtain panel and curtain rod sold separately. 100percent polyester. Machine wash gentle cycle, tumble dry, do not bleach. Imported. 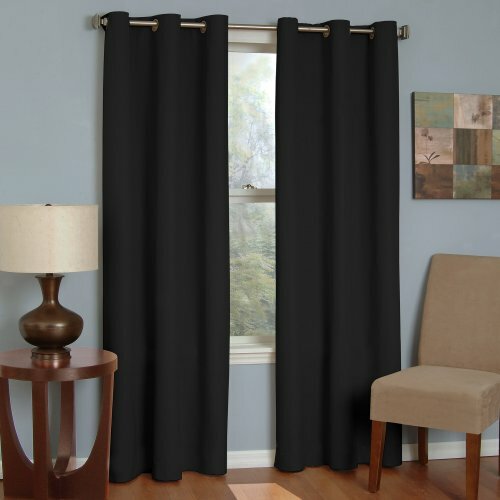 Find the perfect combination of fashion and function with the Eclipse Corinne blackout curtains. Eclipse offers a complete line of functional curtains that provide privacy, manage light, reduce noise, and help with energy savings, without sacrificing the latest looks in window fashion. These beautiful panels feature an intricate solid texture. A layer of thermal foam backing provides light blocking, noise reducing, and energy Saving benefits. Each panel measures 42 inches wide in your choice of 63, 84, or 95 inches long. 3 inch rod pocket accommodates up to a 2 inch rod. 2 inch header adds decorative style. Curtain rod sold separately. 100percent polyester. Machine washable. Copyright © Wholesalion.com 2019 - The Best Prices On Eclipse Window Online.